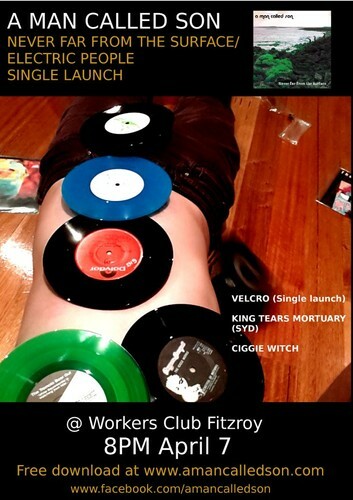 Two of Melbourne's finest up and coming songsmiths, Velcro and A Man Called Son, are engaging in a dual single launch at The Workers Club. Also on the bill of this top drawer lineup: King Tears Mortuary (Sydney) and Ciggie Witch. Be there!